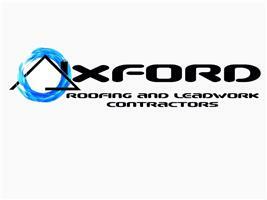 Oxford Roofing & Leadworks - Roofer based in Radley, Oxfordshire. We have built a reputation with our customers as an honest and reliable roofing company and we are happy to provide our many testimonials to you including photographs of completed work we have carried out. Unlike many of our competitors, we do not spend £1000's on advertising as the majority of our work comes from recommendations and repeat work from existing customers. This enables us to offer some of the most competitive pricing available whilst still maintaining the highest level of quality. We hope our site provides you with all of the information you require however, please do not hesitate to contact us should you have any questions or to arrange a free of charge, no obligation quotation.